In 2010, we purchased a new Caterpillar brand generator. 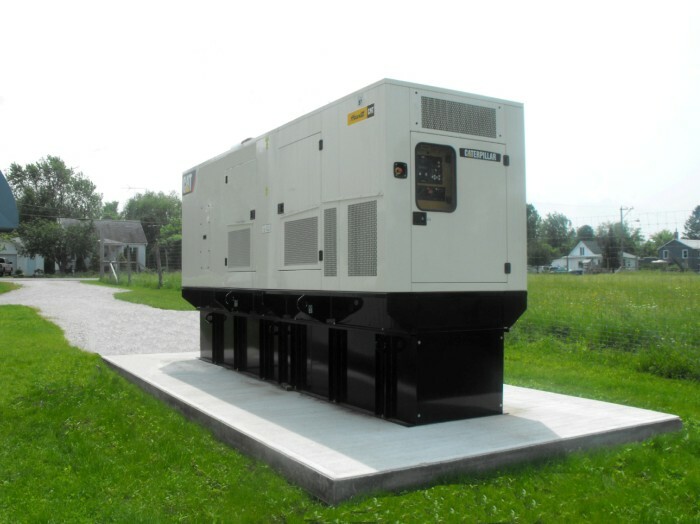 With a powerful 762 HP diesel motor, this unit can continuously produce 600 volts and up to 800 amps. It has a reserve of fuel which lasts for 72 hours, so that we can provide for all our electricity needs in case of a temporary power loss. Full production can resume in less than 7 seconds in case of a power outage, which allows us to continue working and deliver parts on time. Once the power failure is repaired, the transition back to the usual power supply is smooth, with no break in the current.